Loopback is necessary in some gaming applications and in Opensimulator if you are going to be running on the Hypergrid and using the viewer on the server. The usual symptoms is being unable to log in to the server after switching to a Public IP or a Dynamic DNS name. If your router does not support it, you can install a simple fix to one file so it can run a viewer. 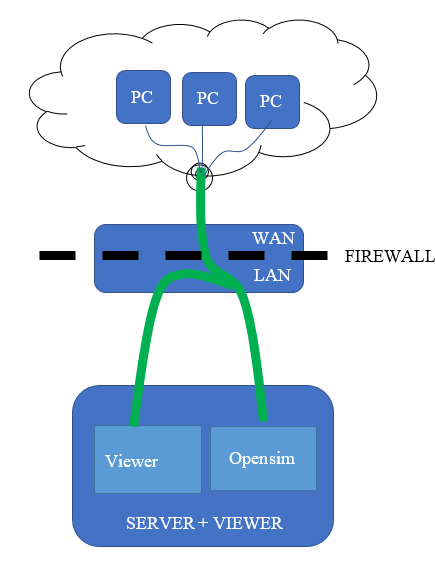 The loopback adapter lets a viewer on the server reach itself, as the loopback via the router is not functioning. If you are reading this, it is probably because you already know loopback is not working and clicked the Help menu to get here. So you can skip down below and go right to "Installing the Loopback Adapter". You can manually test for loopback by starting Opensimulator, then use a web browser to navigate to http://canyouseeme.org. 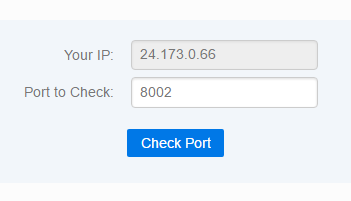 Enter port 8002 and click Check Port. This must work. if not, fix the port forwarding issues and come back and try this test again. You may need to Open Ports in the firewall or disable it on the PC temporarily. Your ports are known to be working now, so go get the Public IP of your system from http://canyouseeme.org. Use a web browser to navigate to http://(Public IP):8002. Use your Public IP where it says (Public IP). You should get a log in page. If you get this page, loopback is working. If you do not get this page, loopback is not working in your router. 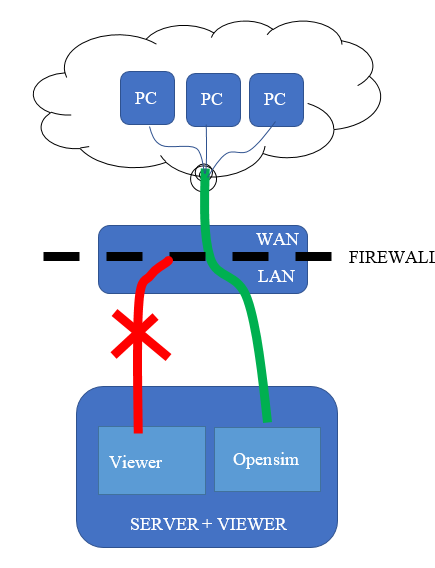 There are two ways to patch a router that has no loopback. Neither are perfect and have different problems. Both have one major issue, the viewer MUST run on the server. You cannot log into your server on the same LAN from a different PC is the router has no loopback and you use one of these two methods. If you must log in from a second PC on the same LAN, and also have hypergrid access you must replace your router. If you do not need access to the hypergrid, you have no need for loopback, just use the Servers IP address for its DNS name, or leave the DNS name blank. This is a relatively easy fix. The only problem with it is you cannot log into another grid from the server, and teleport to your grid. You can only log into your grid and go to another. This is a bit harder to install. You will be able to teleport to your grid when logged into another grid when you are using a viewer from the server. The issue is that the driver does not automatically auto-update the IP address. This will unexpectedly break, with no warning, when the Dynamic Public IP address of your router changes. You can easilty fix this in the device driver but it requires you to when it happens, and then re-enter the Ip address whenever it changes. Search for Notepad, then right-click on Notepad in the search results list, and choose to run it as administrator. If you’re using Windows 10 this will be on the Start Menu. Once you’ve done so, open up the following file using the File -> Open feature. This file has no .txt extension! You will have to change the to All Files *. * pulldown above the file Open button to see it. 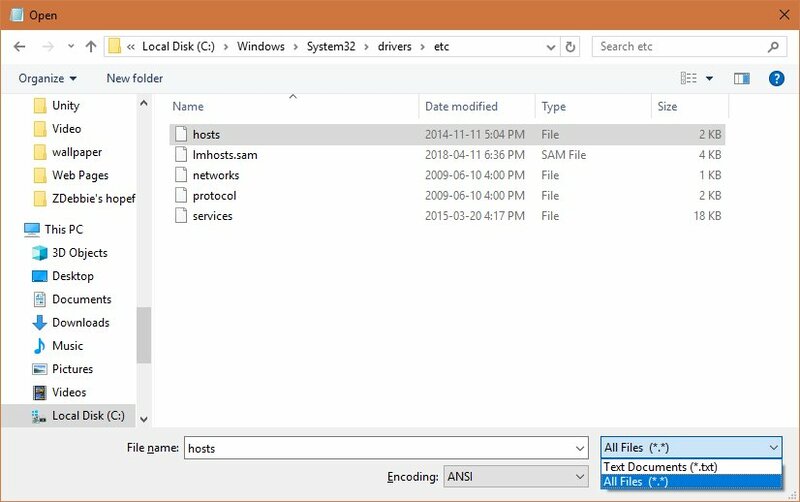 Now that you have edited your Hosts file make sure to save it. This goes into effect immediately. 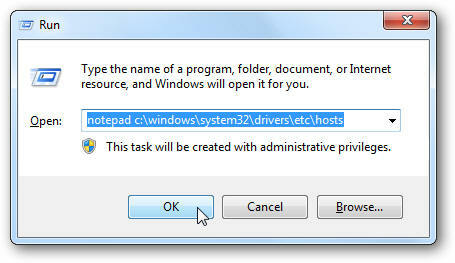 To access the hosts file in Windows 7 you can use the following command in the Run Line to open notepad and the file. Now that you have edited your Hosts file make sure to save it. 1. Click Start, then type cmd in the search box. 2. When cmd.exe appears, right-click it and choose Run as administrator. 3. 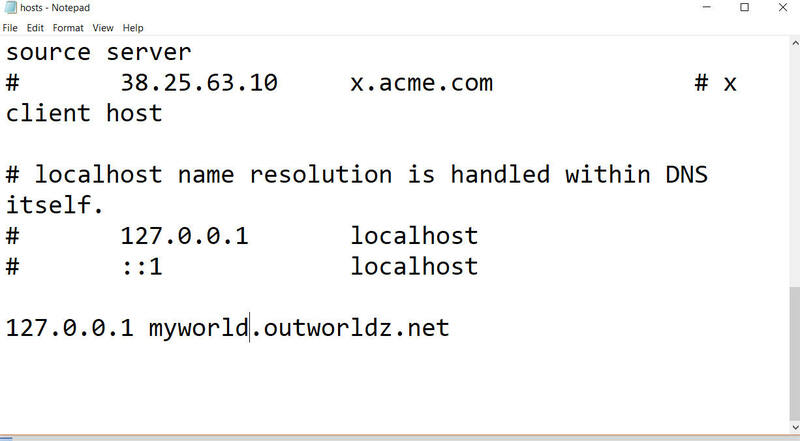 In the command prompt, type hdwwiz.exe and press Enter. 5. Select Install the hardware that I manually select from a list (Advanced), then click Next. 6. Select Network adapters, then click Next. 7. Select Microsoft as the manufacturer, select Microsoft KM-TEST Loopback Adapter as the adapter for Windows 10, then click Next. 8. Select Next to confirm the installation. 9. Select Finish to complete the installation. 1. Click Start > Control Panel > Network Connections. 2,. Select the newly created connection (named Local Area Connection #, where # is its order number). 4. Right-click on the selected connection and choose Properties from the menu. 4. Confirm that Microsoft Loopback Adapter or Microsoft Loopback Adapter # is displayed in the Connect Using: field. 5. If it is not, return to step 2 and retry properties for another adapter. 6. Deselect everything except Internet Protocol (TCP/IP). 7. Select Internet Protocol (TCP/IP), and click Properties to open Internet Protocol (TCP/IP) Properties. 8. Select Use the following IP address. Fill in the IP address and Subnet mask fields. 9. Click Advanced to open Advanced TCP/IP Settings. 10. Switch to WINS and select Disable NetBIOS over TCP/IP. 11. Click OK to close Advanced TCP/IP Settings. 12. Click OK to close the Internet Protocol (TCP/IP) Properties. 13. Click OK to close the connection properties.